Notes on the Greek Text of Exodus by John William Wevers was published by Society of Biblical Literature in January 1990 and is our 49914th best seller. The ISBN for Notes on the Greek Text of Exodus is 9781555404543. 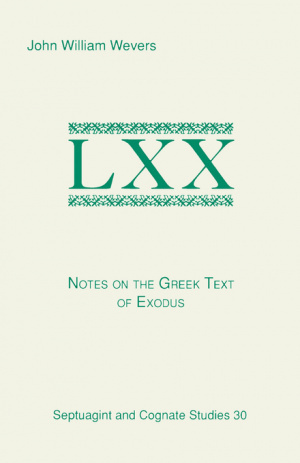 Be the first to review Notes on the Greek Text of Exodus! Got a question? No problem! Just click here to ask us about Notes on the Greek Text of Exodus.